Islam is a religion of non-Indian origin it is a fact that Islam flourished in India for many centuries as a religion of the rulers of India. As such, both Jainism and Islam came in close contact with each other for a long time and naturally influenced each other. As a result we find that there was a great impact of Muslim Architecture and Painting on the Jaina Architecture and Painting. Similarly, the arts of the architecture and painting developed by the Jain’s had exerted their influence on the Muslims. The Culture of Bhatkal influenced by Arabs and Persian, Here Muslims are predominantly followers of Islam, hence their cultural identity is strongly defined by their religion, Due to its geographic location and an ancient history, bhatkal has acquired a very distinctive Culture from Jainism, Hinduism and its neighbors. The Local Muslim have an ancient Community called Nawayath, Dakhini Muslims and the Hindus Communities are predominant in Bhatkal. Nawayathi which is the Mixture of Persian, Arabic, Urdu and Konkani is the most widely spoken language of the town by Nawayath Muslims, Dakhini Muslims Speak Dakhini and Urdu and Few Businessman Malabaris Speaks Beary or malayalam, Local Hindus and Local Christians Speaks Konkani and Kannada at Home. Nawayath Mehfil and other Community Group of Society is a actively working on Literature, Arts and Cultural Activities on Nawayathy ,Konkani and Kannada languages. Nawayath Muslim men wear Lungis Plain, Tartan Cotton, Batik, or silk lungis which is worn slightly differently than other states as it is stitched in the middle and Shirt or Jubba and Topi over head..
Now a Days Kids & Men Wearing Pants, Jeans and Shirt, Tshirt without Cap or Topi. Old Age People (Susan) wear Tartan Cotton lungi, Belt, Shirt, Shirt or Jubba and Topi ( ghandhi topi ) is a white coloured sidecap, pointed in front and back and having a wide band. It is made out of khadi. khadi attire of traditional Indian clothes were symbolic of his message of cultural pride. Nawayath Muslim women wear wear saris differing in pattern and colours,While going Outside traditional Two Piece Burkha, Now a days we can see Latest Abaya fashion of middle east and pakistan, the material used for these is expensive, often silk, with embroidery. Village Hindus and Christians wear plain white lungi and shirt but in the city you will find People wearing pant or Jeans with shirt or tshirt..
Across Bhatkal Town there are Mountains and Rain Forests, Rivers and paddy Fields and Agricultural Lands, Coconut trees and Full of Greenery Around made it possible for Animals and Birds live the Songs of Birds you can Hear in the Early morning and In the Evening. But Now a Days its not Very rare..
Muslims are predominantly followers of Islam you will hear Call For Prayer (Azaan) five time a day. Many Religious, Cultural and Educational Programs have been Organized time to time. In the Early morning you can hear sound of Bajana from different templates in the Remote areas of Town.. There are Number of Writers, Poets, Singers and Scholars working on Nawayathy, Konkani, Urdu and Kannada and Literature and poetry. The traditional cuisine is concerned its widely large because of amalgamation of different cultures and has always been rice, fish, and meat.. Seafood has been the mainstay of the diet for centuries. 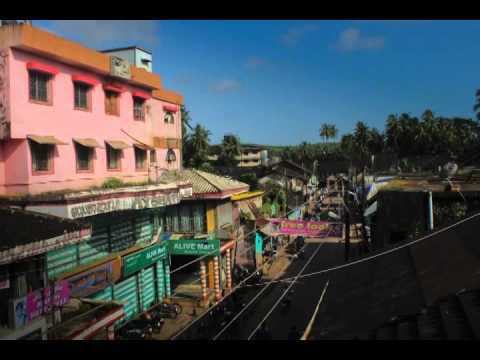 The people of Bhatkal have adopted most of their foods from the surrounding regions and other parts of India. Meat and rice are other staple foods; Poultry is the more favored meats, then goat and lamb. Popular beverage is tea, which can be supplemented with cardamom or mint to give them a distinct flavor. Muslims are prohibited from eating pork, so it is not included in local menus. Alcohol is prohibited in hotel and restaurants. The Dum Biryani ( Tahari ) is one of the famous cuisine. Last Updated on November 24, 2013 at 3:07 pm.